It's been a while since my last post here. My last vacation was full of joy and "nerdiness". In fact, the most nerd time of all! 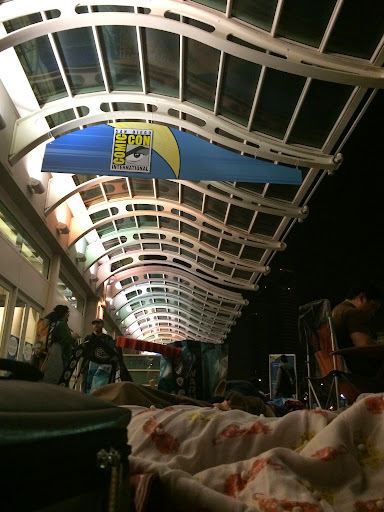 This time we had the opportunity to attend Comic-Con! Yes, that one! It's hard to express how incredible this event actually is and the awesomeness to be around thousands of people that understand you and have the same passion for the same things. How amazing is to get to know Samwise or recognize "Bran" from Game of Thrones among the Crowd - because he doesn't looks like his character at all. 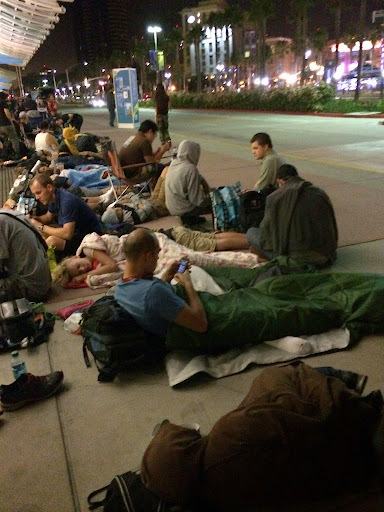 What about staying in line for more than 10 hours? First time sleeping on the street for the win! Is incredible to see all those actors and actresses so close. They are part of your life, and then, they are there. They're real. Strongly recommend anyone that loves tv shows, movies and of course, HQs to attend Comic-Con at least once in their life. It can be expensive and you'll be frustrated cause you can't buy everything you want - but still - is worth it!